Democrats had a good night on Tuesday - but was it a blue wave? Two days after the 2018 midterm election, DFL Party Chairman Ken Martin was ticking off his party's victories: two U.S. Senate seats, the open offices of governor and attorney general, control of the Minnesota House, and two congressional pickups in the suburbs. "Democrats obviously had a good night," he told reporters at a Capitol press conference. 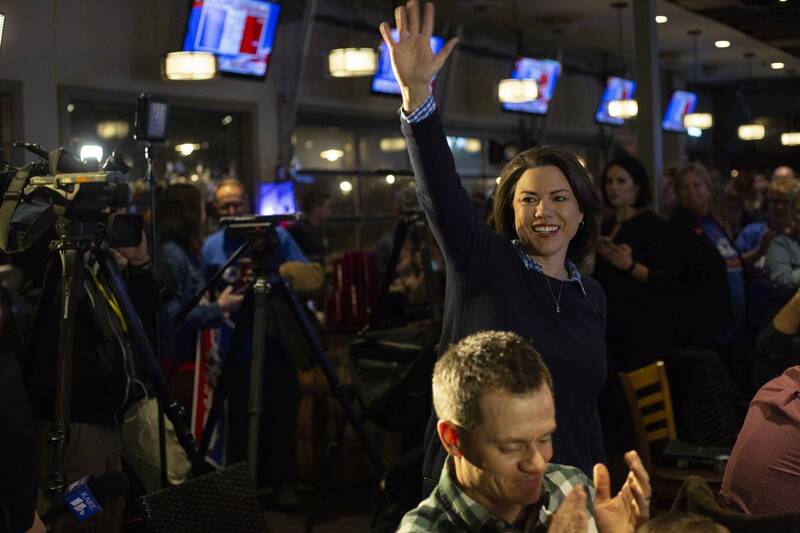 It was a startling set of victories, from the more anticipated wins at the top of the ticket — Amy Klobuchar returning to the Senate and Tim Walz picking up the governor's office — all the way down the ballot to more unexpected upsets in the state House. But there's been some debate about whether the much ballyhooed "blue wave" hit Minnesota on Tuesday. And no matter what anyone calls it, both sides are trying to assess what this election means for elections in 2020 and beyond. "I would characterize this as a fairly blue wave in Minnesota when you look at all the races collectively," said Eric Ostermeier, a research fellow and resident data cruncher at the University of Minnesota Humphrey School of Public Affairs. In the race for governor, Ostermeier noted, Walz bested the Republican candidate, Jeff Johnson, by 11 percentage points. The last time the state saw a double-digit win in a gubernatorial race was Republican Arne Carlson's landslide victory over Democrat John Marty in 1994. And the vote totals were startling: Walz won the governor's race with nearly 1.4 million votes, compared to less than 1 million votes DFL Gov. Mark Dayton won by four years ago, in the last midterm election. Much of the gain for Walz was in the Twin Cities suburbs. "That is a pretty definitive victory and something we haven't seen in Minnesota's race at the top of the ticket there in 25 years," Ostermeier said. Those extra votes ran right down the ballot, helping legislative Democrats pick up the House. They needed 11 seats to regain the majority — they got 18, the most they've picked up in at least a decade. The last sweep that large happened in 2006, when Democrats picked up 19 legislative seats in a massive wave year. Marty Seifert, a former Republican state legislator, said this year, many of the legislative seats that were within a few hundred votes ultimately fell to Democrats. He took over as House Republican minority leader after the 2006 wave and described this year's election as a "modest wave" for Democrats. "Where the wave came is the margin of victory of Tim Walz and the margin of victory for the Minnesota House," he said. "When the wave comes against your party, you will lose a lot of these really close races. I know, I've seen it." The big turnout margins for Democrats helped move even the closest races across the finish line, Seifert said. He said Republicans' biggest disappointment was that DFL congressman Keith Ellison was swept up in Democratic successes Tuesday night, winning the open attorney general's race over Republican Doug Wardlow by 4 percentage points, a much smaller margin of victory than any other Democrat on Tuesday. Ellison, who faced an allegation of domestic abuse from an ex-girlfriend, was tied or trailing in two polls ahead of election day. He denied the allegation and held the office, continuing Democrats' 48-year streak as Minnesota attorney general. 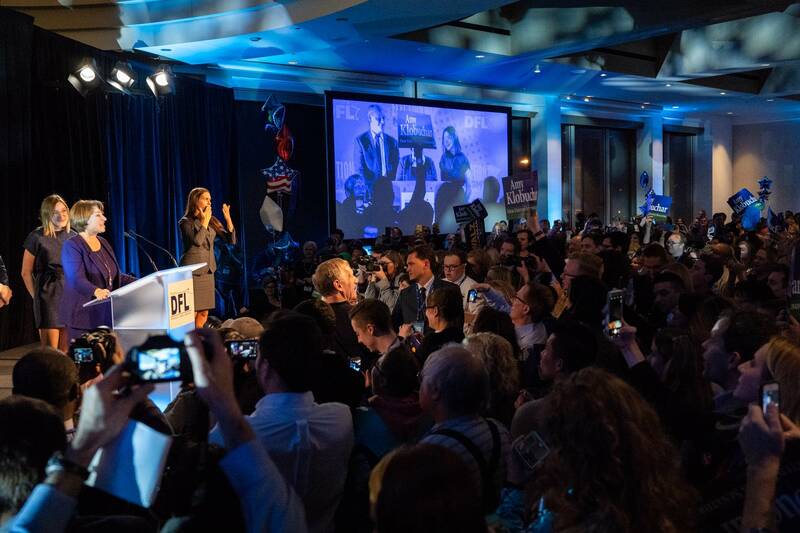 "In totality, especially considering the DFL put forth probably their most risky nominee for attorney general...and they were still able to eke out a win there, the party has to be feeling pretty good this week," Ostermeier said. Republicans said the outcome was worse than the Republican performance suggests, noting how vote tallies were up across the board for the party's statewide candidates over four years ago. Overall turnout this cycle was way up from the last midterm, 1.9 million to nearly 2.6 million, according to unofficial results from the Minnesota Secretary of State. Johnson, who ran against Dayton in 2014, got nearly 220,000 more votes than he did four years ago, and he was outperformed by other statewide Republicans, as well as many of the conservative legislative candidates below him on the ballot. "This wasn't necessarily a repudiation of what the Republicans did. It was, boy, we just got beat," said Republican strategist Brian McDaniel. A boost in Republican turnout helped pick up two congressional seats in the state Tuesday night — two of only three Republican congressional flips in the nation. In the 8th District, where DFL Rep. Rick Nolan retired, Republican Pete Stauber won a convincing victory over former DFL state Rep. Joe Radinovich. It was closer in the southern 1st District, an open seat that Walz currently represents. 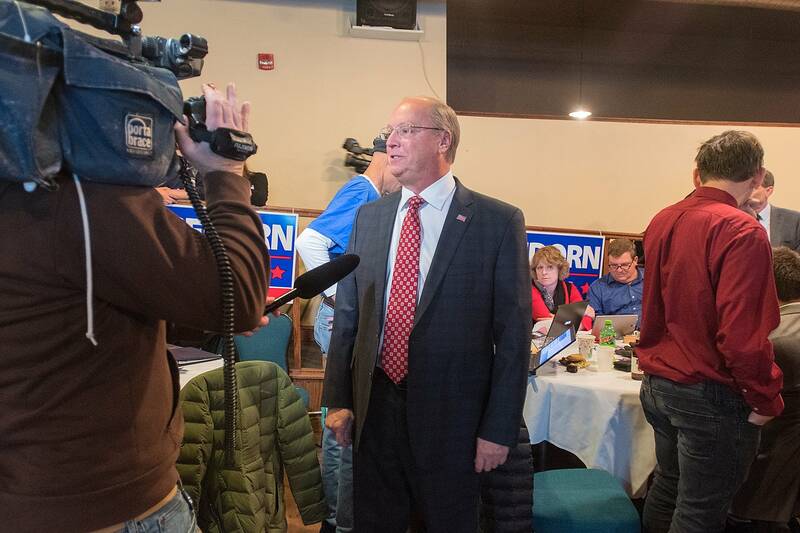 There, Republican Jim Hagedorn beat Democrat Dan Feehan by just over 1,000 votes. "If Hagedorn hadn't won it, it would have been more of a wave," Seifert said. The results in Congress have both parties digging deep into the numbers to figure out what happened. Minnesota's map is increasingly divided: Democrats hold a center of power in the population-heavy seven county metro area, surrounded by a sea of red in ex-urban and rural areas. "That's probably the flip side of the coin," Martin said Thursday. "While we enjoyed a lot of success on Tuesday night, we probably could have done better in Greater Minnesota." Republicans continued a 12-year losing streak for statewide offices. After Tuesday, Democrats have won 20 consecutive statewide offices. Max Rymer, 27, from Bloomington, was at the Republican election night party on Tuesday and was surprised by how bad of a night his party was having. "You know, for me life goes on. For Republicans in general, I think we do have to do a little bit of auditing of what this election was and what it meant -- and soul searching and how we get back some of the people we may have lost in Minnesota," he said. "Some of the results were just so devastatingly bad here tonight in Minnesota, that if you don't take a life lesson or of some kind from this election then you're wasting your time." MPR News intern Austen Macalus contributed to this report.